Spacious ranch in terrific area! Updated kitchen, baths, roof 2012, HVAC-5 yeas. Large workshop attached to 2 car garage plus carport & patio. Additional family room, bath, nonconforming bedroom and possible kitchen in basement could make an apartment for additional family member. 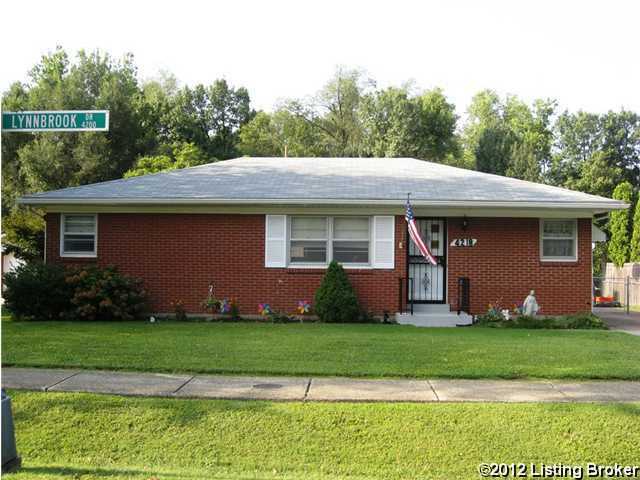 This St Matthews area home is convenient to expressways, shopping, hospitals & more! 4218 Lynnbrook Dr, Louisville KY 40220 is a Home, with 3 bedrooms which is recently sold, it has 2,300 sqft, < 1/4 ACRE sized lot, and 1 Car Carport,2 Car Garage,Detached parking. A comparable Home, has 4 bedrooms and 2.5 baths, it was built in and is located at 2437 PARKDALE Ave Louisville KY 40220 and for sale by its owner at $ 298,000. This home is located in the city of Louisville , in zip code 40220, this Jefferson County Home, it is in the BROOKHAVEN Subdivision, and Stony Brook Woods are nearby neighborhoods.